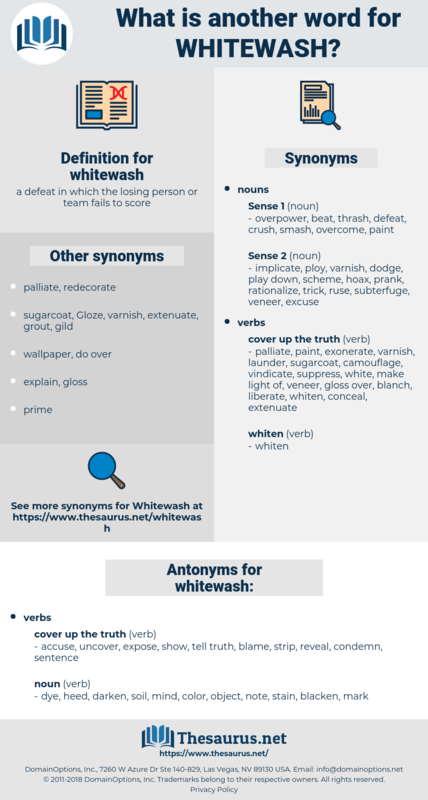 What is another word for whitewash? accuse, uncover, expose, show, tell truth, blame, strip, reveal, condemn, sentence. dye, heed, darken, soil, mind, color, object, note, stain, blacken, mark. 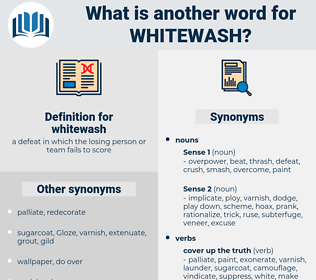 Whitewash covered it for two centuries. Make the whitewash with a foundation of thick paste - and be sure it covers every thread of the canvas. discharge, exonerate, exculpate, acquit, clear, assoil.